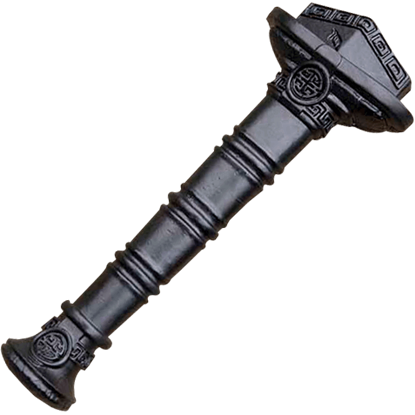 LARP Distribution carries LARP maintenance gear and LARP DIY supplies. Help ensure that our wholesale foam latex weapons and products last their full expected period of use with our wholesale LARP maintenance supplies. We offer liquid latex and protective silicone spray that keeps the latex coating flexible and prevents it from drying out, which guards the piece against wear and tear as well as the effects of aging. Our wholesale LARP maintenance spray makes an easy add-on to our popular LARP swords and shields. LARP DIY is great to have for those who wish to create their own LARP weapons and LARP shields, and we carry foam plates, fiberglass cores, and liquid latex for creative LARP do-it-yourself projects. The toll of battle can come in various ways, but do not let your trusty LARP weapons fall victim to abuse. 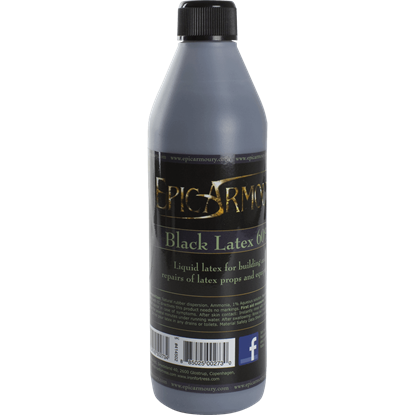 Keep those accessories in tip top shape with a bottle of Black Liquid Latex - 1000ml, which is ideal for LARPing weapons. The toll of battle can come in various ways, but do not let your trusty LARP weapons fall victim to abuse. 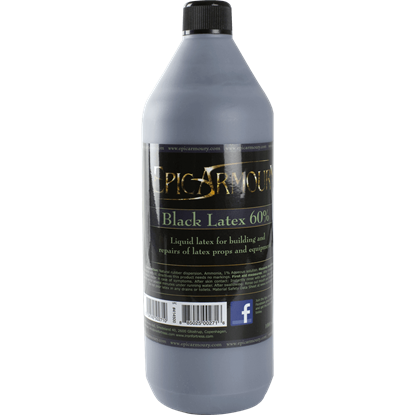 Keep those accessories in tip top shape with a bottle of Black Liquid Latex - 500ml, which is ideal for LARPing weapons. The toll of battle can come in various ways, but do not let your trusty LARP weapons fall victim to abuse. 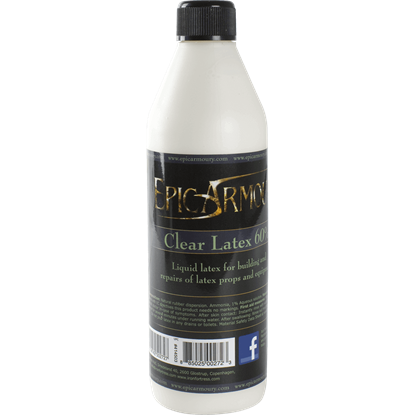 Keep those accessories in tip top shape with a bottle of Clear Liquid Latex - 1000ml, which is ideal for LARPing weapons. The toll of battle can come in various ways, but do not let your trusty LARP weapons fall victim to abuse. Keep those accessories in tip top shape with a bottle of Clear Liquid Latex - 100ml, which is ideal for LARPing weapons. LARP combat can be hard on your weapon, especially if you like to hit things really hard repeatedly. 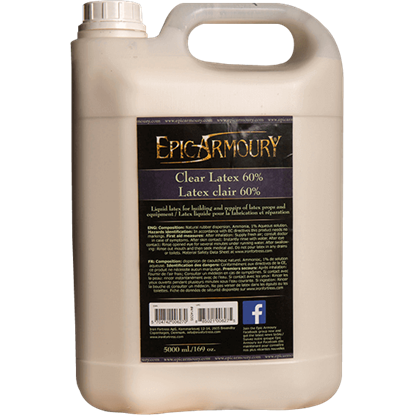 Keep your LARP weapons from harm by applying liquid latex to them from the Clear Liquid Latex - 5 Liters bottle from Epic Armoury. The toll of battle can come in various ways, but do not let your trusty LARP weapons fall victim to abuse. 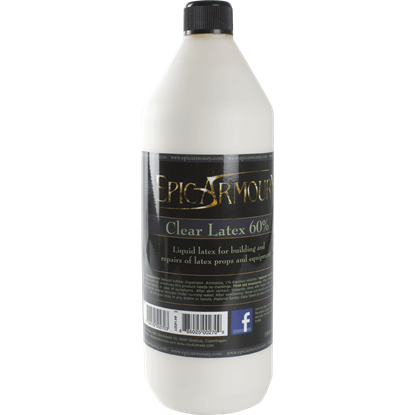 Keep those accessories in tip top shape with a bottle of Clear Liquid Latex - 500ml, which is ideal for LARPing weapons. Conquer the seven seas as a fearsome pirate lord who wields a custom LARP cutlass when you create your unique blade with the DIY LARP Cutlass Handle - Painted! Both beginner DIY LARPers and pros will agree this is an incredible buy! Beneath the tallest mountain lies a forge where the greatest Dwarven LARP swords are made. 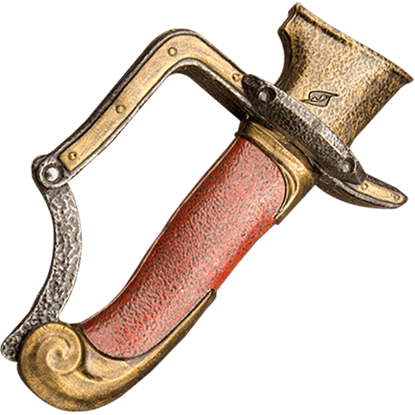 Craft your own custom Dwarf sword using the DIY LARP Dwarf Handle - Painted as a hilt and save some time during the painting process! 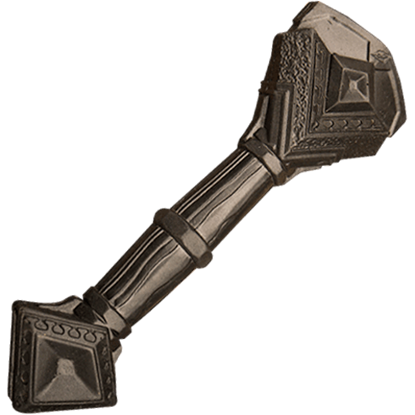 Every Dwarf should have his or her own unique blade to take into combat with them. 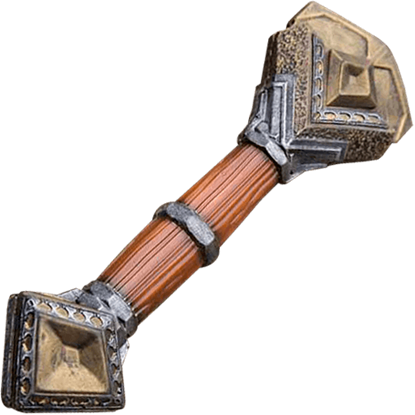 Furthermore, that Dwarf should craft their own blade, so grab a paint brush and use the DIY LARP Dwarf Handle - Unpainted for your custom sword! You have mastered the exotic LARP weapons of Asia and now it is time for you to create your own sword, one that will be not only a deadly weapon but an extension of yourself. 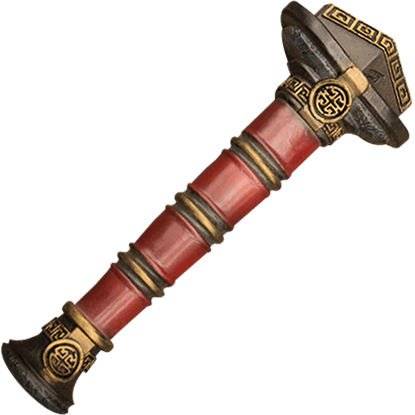 You can do this with the DIY LARP Jian Handle - Painted. 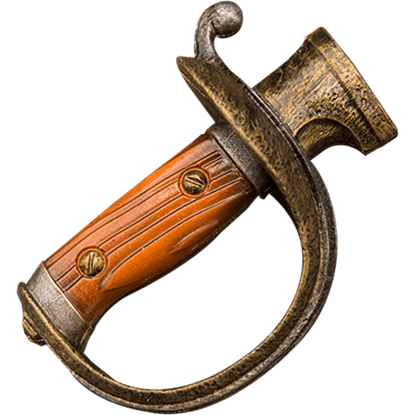 For oriental themed LARP weapons and LARPers who wish to test their skill creating them, the DIY LARP Jian Handle - Unpainted is an incredible purchase! This premade LARP Jian handle is reliable in build and customizable in colors! If you find yourself unable to find a LARP sabre that has a handle and blade combination you like, maybe creating your own foam-latex blade is the project for you! Make the project easy by using the DIY LARP Sabre Handle - Painted!